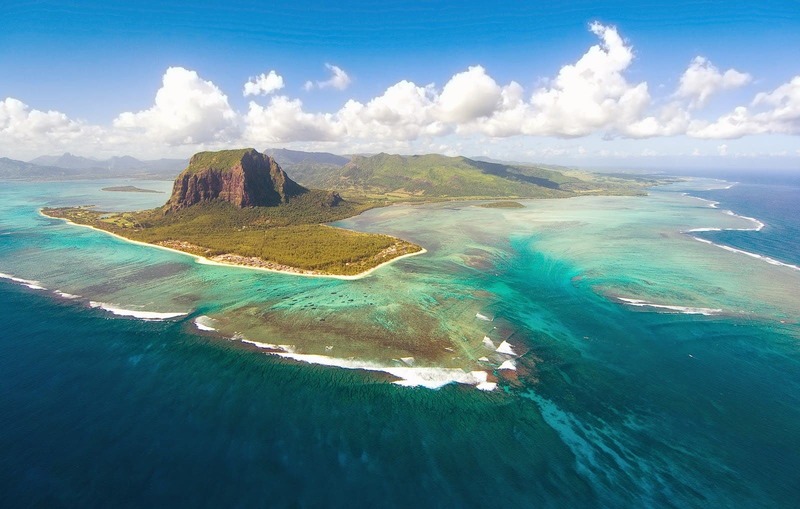 Scientists have confirmed the existence of a "lost continent" under the Indian Ocean island of Mauritius (above) that was left-over by the break-up of the supercontinent, Gondwana, which started about 200 million years ago. The piece of crust, which was subsequently covered by young lava during volcanic eruptions on the island, seems to be a tiny piece of ancient continent, which broke off from the island of Madagascar, when Africa, India, Australia and Antarctica split up and formed the Indian Ocean. "We are studying the break-up process of the continents, in order to understand the geological history of the planet," says Wits geologist, Professor Lewis Ashwal, lead author on the paper "Archaean zircons in Miocene oceanic hotspot rocks establish ancient continental crust beneath Mauritius", published in the prestigious journal Nature Communications. "Earth is made up of two parts – continents, which are old, and oceans, which are "young". On the continents you find rocks that are over four billion years old, but you find nothing like that in the oceans, as this is where new rocks are formed," explains Ashwal. "Mauritius is an island, and there is no rock older than 9 million years old on the island. However, by studying the rocks on the island, we have found zircons that are as old as 3 billion years." This is not the first time that zircons that are billions of years old have been found on the island. A study done in 2013 has found traces of the mineral in beach sand. However, this study received some criticism, including that the mineral could have been either blown in by the wind, or carried in on vehicle tyres or scientists' shoes. "The fact that we found the ancient zircons in rock (6-million-year-old trachyte), corroborates the previous study and refutes any suggestion of wind-blown, wave-transported or pumice-rafted zircons for explaining the earlier results," says Ashwal. Ashwal suggests that there are many pieces of various sizes of "undiscovered continent", collectively called "Mauritia", spread over the Indian Ocean, left over by the breakup of Gondwanaland. "According to the new results, this break-up did not involve a simple splitting of the ancient super-continent of Gondwana, but rather, a complex splintering took place with fragments of continental crust of variable sizes left adrift within the evolving Indian Ocean basin."